 BE THE HERO! 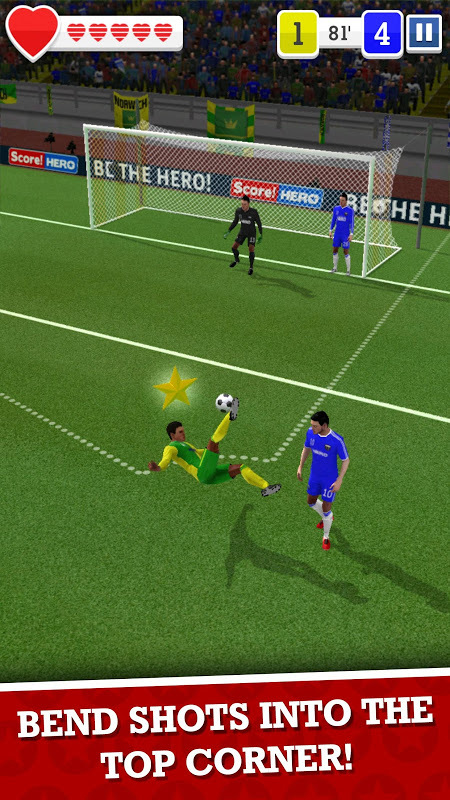 Pass, Shoot & Score your way to legendary status! If you like football Score! Hero is the game for you. 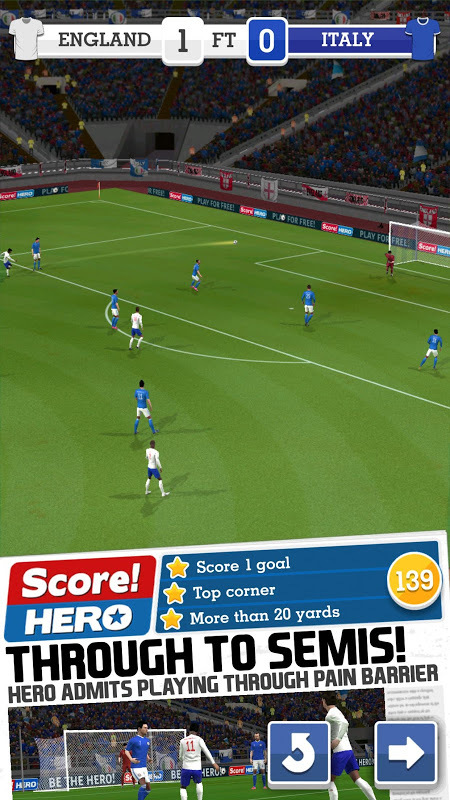 Get the chance to transform yourself in the latest football hero by mastering your passes, shoots and reaching the highest score over more than 520 levels. Download the game and find yourself in the middle of an immersive 3D Gameplay that makes you feel like you're on a football field. 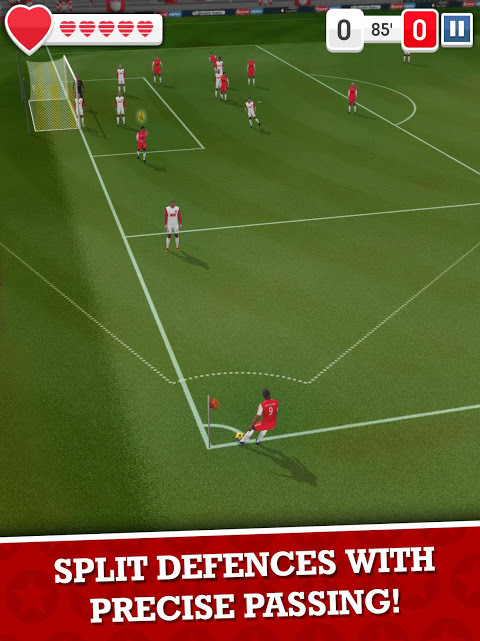 To win and become the ultimate player, you'll have to split defences by shooting precise balls and bend shots into the top corner. Score! 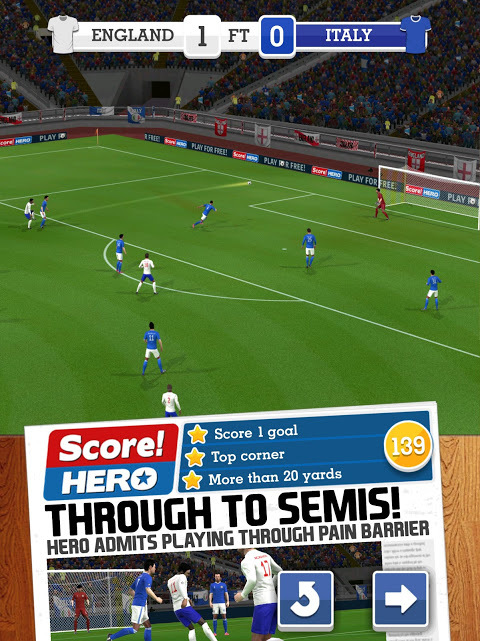 Hero provides the best football experience for mobile as it allows you to win awards and trophies, as well as score goals, change to another team or even represent your country's team. 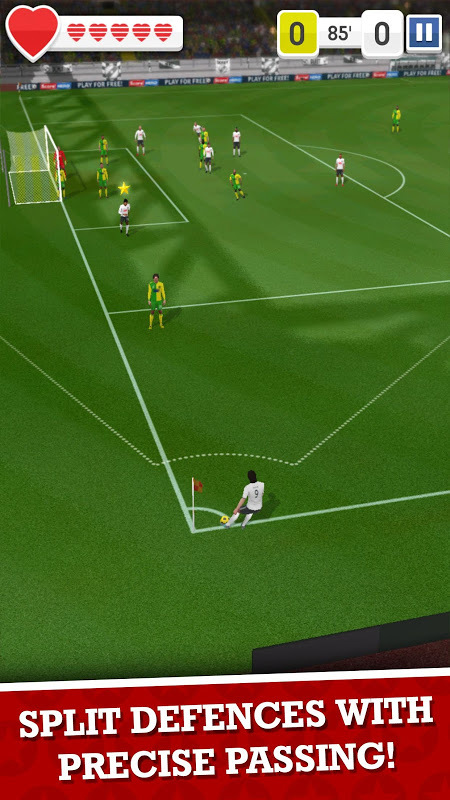 Whichever mode you choose comes with beautiful and realistic 3D graphics, intelligent AI which adapts your passes and shots making them all different as well as the ability to customise your player. The game's usability is very easy to understand, yet difficult to master. 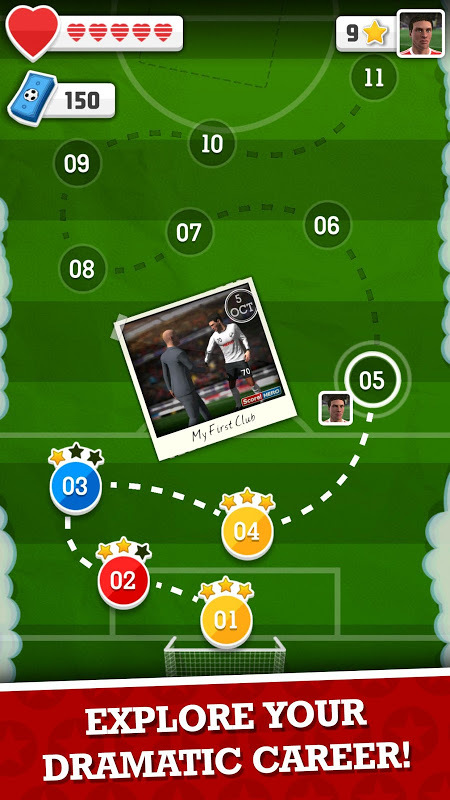 You can connect the app with Facebook and play against your friends to see who get the best scores in each level and you can also sync your progress to your Google Play Cloud. Check the ranks to see if your results and achievements are doing well and beat each challenge until you're on top. Please note that Score! Hero requires internet connection to download its content and in-app advertisement, and also that despite being possible to play the game entirely for free, there is some additional in-game items and content that can be purchased using real money. 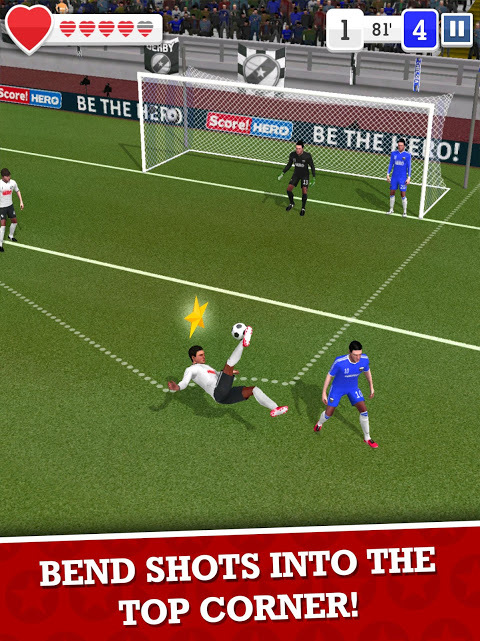 Download now and become the ultimate Football Hero.  Is Score! Hero yours? Claim it!